Neratinib becomes the first anti-HER2 treatment to be EC-approved as extended adjuvant therapy for early stage hormone receptor positive HER2-positive breast cancer following adjuvant trastuzumab-based therapy. Treatment with neratinib in the approved European indication resulted in a 51% reduction in the risk of invasive disease recurrence or death versus placebo after patients completed one year of therapy following a trastuzumab-based regimen. Neratinib addresses an unmet medical need, as up to 25% of HER2-positive early stage breast cancer patients treated with trastuzumab-based adjuvant treatment experience a recurrence. LOS ANGELES, Calif., Sept. 4, 2018 - Puma Biotechnology, Inc. (Nasdaq: PBYI) announced that the European Commission (EC), has granted marketing authorisation for NERLYNX® (neratinib) for the extended adjuvant treatment of adult patients with early stage hormone receptor positive HER2-overexpressed/amplified breast cancer and who are less than one year from the completion of prior adjuvant trastuzumab based therapy. EC approval was based on the Phase III ExteNET trial, a multicenter, randomized, double-blind, placebo-controlled trial of neratinib following adjuvant trastuzumab treatment. Patients (n=2,840) with early stage HER2-positive breast cancer and within two years of completing adjuvant trastuzumab were randomized to receive either neratinib (n=1420) or placebo (n=1420) for one year. The approval of NERLYNX by the European Commission follows the positive opinion issued by the Committee for Medicinal Products for Human Use of the European Medicines Agency in June 2018. Please see Full Prescribing Information for additional safety information. To help ensure patients have access to NERLYNX, Puma has implemented the Puma Patient Lynx support program to assist patients and health care providers with reimbursement support and referrals to resources that can help with financial assistance. 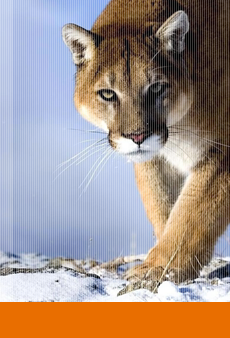 More information on the Puma Patient Lynx program can be found at www.NERLYNX.com or 1-855-816-5421. The recommended dose of NERLYNX is 240 mg (six 40 mg tablets) given orally once daily with food, continuously for one year. Antidiarrheal prophylaxis should be initiated with the first dose of NERLYNX and continued during the first 2 months (56 days) of treatment and as needed thereafter. Further information about Puma Biotechnology can be found at www.pumabiotechnology.com. This press release contains forward-looking statements, including statements regarding the worldwide expansion of NERLYNX. All forward-looking statements involve risks and uncertainties that could cause the Company’s actual results to differ materially from the anticipated results and expectations expressed in these forward-looking statements. These statements are based on current expectations, forecasts and assumptions, and actual outcomes and results could differ materially from these statements due to a number of factors, which include, but are not limited to, the risk factors disclosed in the periodic and current reports filed by the Company with the Securities and Exchange Commission from time to time, including the Company’s Annual Report on Form 10-K for the year ended December 31, 2017 and its Quarterly Report on Form 10-Q for the quarter ended June 30, 2018. Readers are cautioned not to place undue reliance on these forward-looking statements, which speak only as of the date hereof. The Company assumes no obligation to update these forward-looking statements, except as required by law.